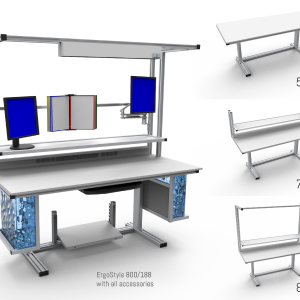 Supporting essential workplace health and safety, AME System’s range of ergonomic electric height adjustable workstations helps your workers improve their productivity through greater comfort, efficiency and improved organisation. 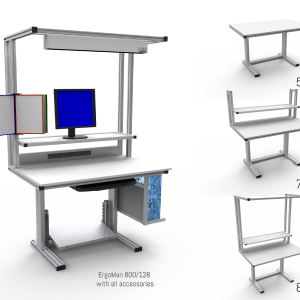 Available in a range of options to suit your application, the ErgoMan series gives your operation a competitive edge. 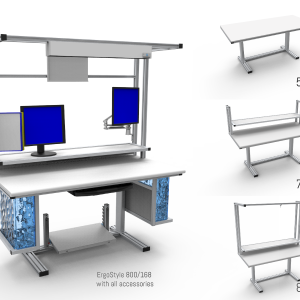 If you require simple and elegant sit stand desks solutions for your office instead of our industrial workstations, visit www.activdesk.com.au/desks to view our modern desk range.